BATON ROUGE, LA (WAFB) - No. 9 LSU beat No. 11 Texas A&M in Game 1 at Alex Box Stadium Friday night. Josh Smith hit a solo home run in the eighth inning to lift the Tigers to the 2-1 win over the Aggies. Zack Hess started on the mound for LSU. He allowed one run on five hits and struck out five batters in six innings of work. Devin Fontenot closed the game and got the win. He gave up one hit and struck out three in 1.2 innings. He is 4-0 on the season. The Aggies got on the board in the third inning off a single. In the bottom of the seventh, Brandt Broussard went all around the bases to tie the game 1-1 on a fielding error by the right fielder and then a throwing error by the same player. 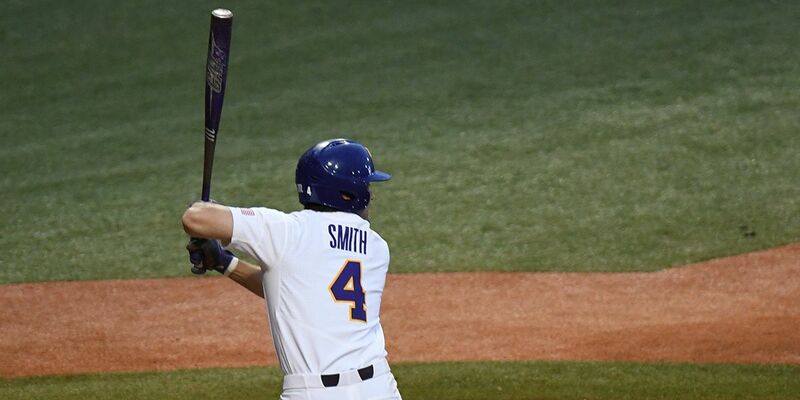 In the bottom of the eighth, with one out, Smith launched one to right field to put the Tigers up 2-1. The teams will play a doubleheader Saturday. Game 2 will start at 2 p.m. and Game 3 will begin at 7 p.m.